Having a website for your business is a good start on the road to getting more traffic and clients. 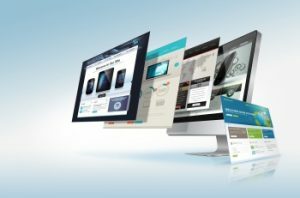 However, there are a variety of factors that play into the effectiveness of your website that should be addressed in order to ensure it is doing its job. Is your website up to date and responsive? Does your website have consistent branding? Is the content on your website compelling and informative? If you are unsure about any of these questions, you should get in contact with the website design solutions experts here at Design & Promote. Design & Promote has been developing custom website design solutions for businesses in Aurora for over 10 years. We understand that getting noticed on the internet takes more than a great website, so we help you devise solutions that will work for you and attract potential clients to your website. For more information on our website design solutions in Aurora or if you have any questions about digital marketing strategies such as SEO and SMM, give us a call today at 630-995-7109. You can also reach out to us by completing the contact form on this page and we will respond shortly. When it comes to reaching your audience, you need a unique approach as your audience is different from other businesses. Our website designers will work with you to create a website that will stand out from your competition while targeting those most likely to be interested in your products and services. When coming up with solutions to propel your website, we help your website find an identity that leads to a recognizable brand. This will help potential clients find you easier and it will help create brand awareness to gain more traction online and in the real world. To learn more about our website design solutions in Aurora or if you would like more information about our digital marketing solutions, call us today at 630-995-7109. Or you can simply fill out the contact form and we will get back to you as soon as possible.